Water scarcity is growing globally with already over 4 billion people who live without access to sufficient, high quality, fresh water. It is expected that this number will only increase in the near future, with a rising water footprint and stagnant availability of water due to climate change making the situation even worse. The result is that communities, industries, private islands, SIDs (Small Island Developing States), hotels and municipalities can’t take water for granted any more. For this reason, water management is one of the utmost importances, in order to assure there will be enough fresh water available for future generations. In the area of Quintana Roo this is no different with already over 96.000 people who suffer from a lack in access to enough fresh water, while both the population and tourist sector keep growing fast. 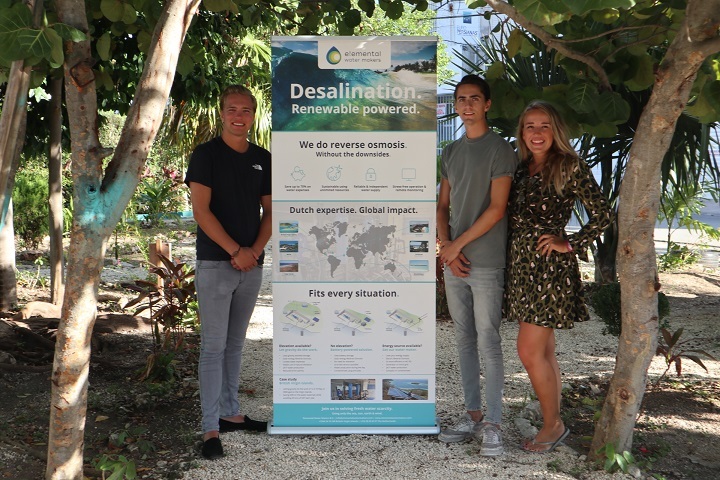 As part of their studies International Entrepreneurship and Development at the Technical University of Delft in the Netherlands (Europe) Pascalle Jansen, Koen Verloop and Marijn Leidelmeijer, have therefore taken on a project; they are conducting research and providing information regarding Sustainable Water Management in the area of Quintana Roo. During their research they have discovered that currently only a relative small fraction of the resorts and hotels have their own desalination plant, these are predominantly the larger resorts. New advancements in technology give way to a new standard; desalination in the form of reverse osmosis is no longer reserved for big hotels. Now, also smaller hotels have the possibility to take care of their own water supply themselves. That is why the three students are working together with the Technical University of Delft and the Dutch company Elemental Water Makers to conduct their research. Marijn explains: “The innovative company provides easy and efficient reverse osmosis technology and delivers solutions starting at a production capacity of as little as 2 m3 of water and up to 1000 m3 per day, while saving up to 70% on water expenses without having the problem of contamination through the pipelines beneath the streets. The company already has expertise through projects around the world, such as Belize and the British Virgin Islands”. From the beginning of November, until the end of January the young entrepreneurs are analyzing the current water supply of the area mainly focused on hotels and resorts. Throughout the first two months they have already met with many stakeholders such as hotel managers and tried to raise awareness for doing sustainable business along most of the Riviera Maya, from Playa del Carmen up to Isla Holbox. It is their goal to find innovative solutions and to eventually reach a situation where the tourism sector is self-sufficient, independently supplying itself with a reliable amount of fresh water. In addition the students are highly committed to sustainability and the environment and therefore they are especially looking into sustainable desalination, this is the process of making fresh water out of seawater powered by renewable energy. Pascalle, Koen and Marijn believe that this technique is the key to reduce pressure on the limited fresh water available, whilst reducing the environmental impact to a minimum. Now the Delft University team is looking for opportunities to expand and bring this new technology into the Quintana Roo area and they are looking forward to get in touch with more interested parties, to raise awareness for these innovations in order to ensure the availability of sufficient freshwater now, and for future generations. 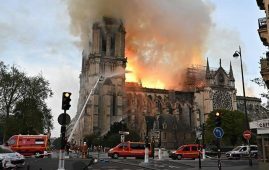 The company reported that it will. 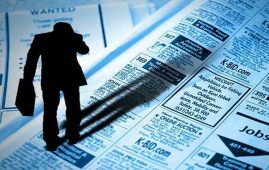 Unemployment increases to 3.6% of the.